All I can say is, time flies when you’re having fun! Hard to believe that it’s over 6 months, since Brad (hubby & business partner extraordinaire) and I were accepting the “Most Entertaining” award at the Ice The Cake “InCREDIBLE Supplier of the Year Awards” for our music management company LM2 Entertainment. 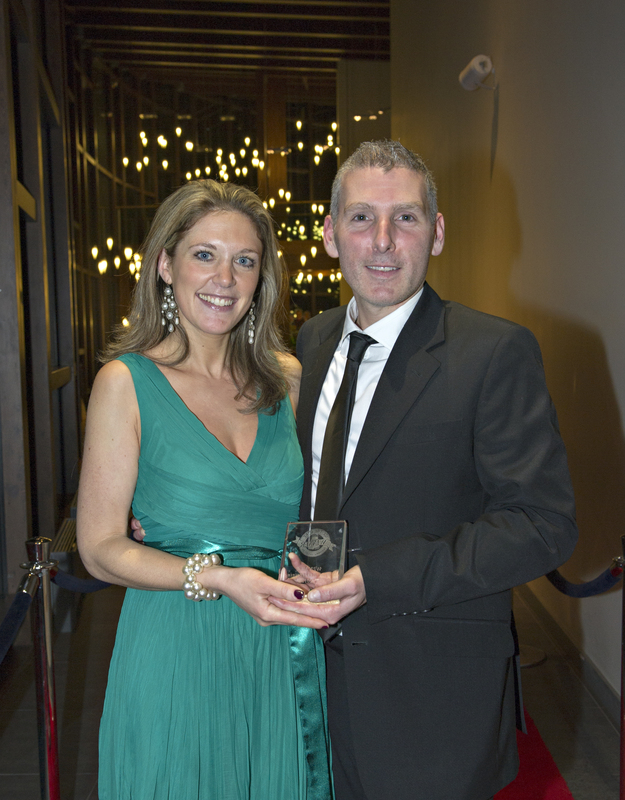 Well, just after we stumbled on stage to accept our award, we also stumbled over a Great. Big. Gap in the market. We recognised that a Google search for a wedding band propels you into a confusing world of music entertainment agencies and hundreds of individual bands all clamouring for your attention. It’s migraine-inducing, and not hugely inspiring for the chic, discerning bride & groom looking to do something a little bit unique and special with their day. And so, My Fabulous Wedding Band was born. We launched MyFab (as it’s affectionately known round these parts) in January 2013. 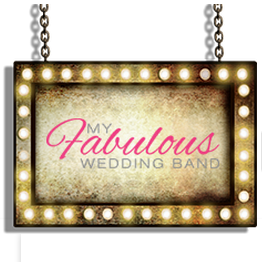 We’re a live wedding band boutique specialising in bands with authentic musical style & charismatic personality. The boutique brings together some of the UK’s most exciting and inspiring professional live bands into one capsule collection – from cool, classic Swing & Rat Pack, to 1920’s and 30’s vintage Swing Jive, to hip-shakingly authentic Soul & Motown. We run a strict door policy of “no bland, generic function bands”. Determined to make the overwhelming decision-making process as easy and fun as possible for our brides & grooms, we welcome everyone with a free “Made-to-Measure Wedding Band Consultation” and VIP Guestlist to see our bands perform live at prestigious public venues such as Ronnie Scott’s. Since launching, MyFab has attracted a lot of interest from all quarters. We’ve been attracting fabulous brides & grooms with inspiration-packed e-guides, such as the sell-out: 7 Surprising Ways Your Wedding Band Can Transform Your Party From Bland To Grand – MASTER. We’ve partnered up with some of the gorgeous planners over at the UK Alliance of Wedding Planners to help them better serve their clients when it comes to their wedding music. And we’ve been lucky enough to enjoy some excellent media coverage, including a guest blog series running on b.loved, one of the top 20 UK wedding blogs (UKwed.com). So what’s on the agenda for Mel & Brad in the next 6 months? Well, we’re just getting started. And all I can say is… Watch This Space!